WILLIAM GRANT & SONS has a new man at the helm of its duty free business. Oxbridge-educated Ed Cottrell is a former platoon commander in the Coldstream Guards with more than 14 years of experience with Diageo, as well as senior roles at Enterprise Inns (commercial director) and Bibendum Wine (sales director). Cottrell took over the high-profile position of managing director, global travel retail, from Justin Weston in June this year. Cottrell takes over a key player in the scotch whisky-oriented duty free liquor business. According to the IWSR, WGS was the sixth largest spirits supplier to duty free in 2014, ahead of major names such as LVMH, Rémy Cointreau and Edrington. 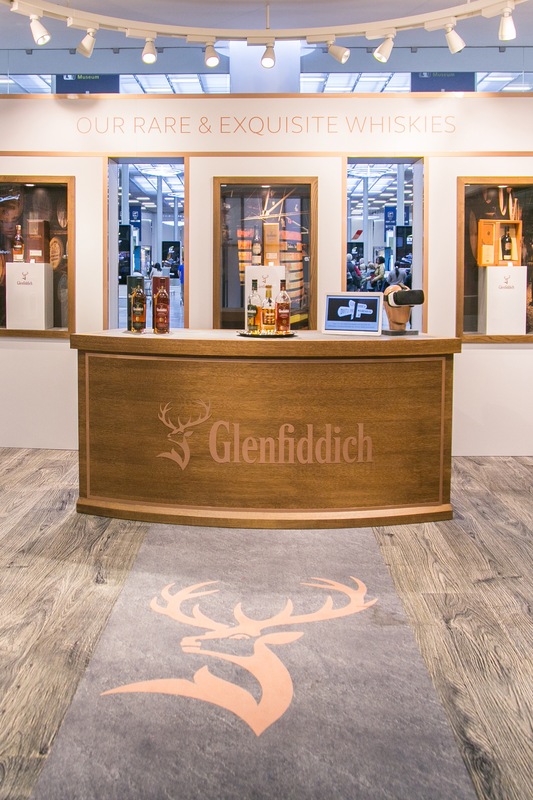 Glenfiddich is, of course, WGS’s star player in duty free, but the long-term leader of the single malt category in duty free is increasingly being challenged by fast-growing Speyside rival, Chivas Brothers-owned The Glenlivet. WGS has been fighting back, opening shop-in-shop style boutiques showcasing the Glenfiddich range in locations as diverse as a Scandlines’ border shop in Germany, frequented by Scandinavian ferry passengers, and DFS Group’s swanky new Duplex stores in Terminals 2 and 3 of Singapore Changi airport, arguably Asia’s most important hub airport from a travel retail perspective. WGS has also climbed aboard the travel retail exclusive bandwagon that so many of its rivals had been on for many years, releasing in 2013 its much-anticipated Cask Collection, which will unveil new packaging at Cannes. It is a core travel retail exclusive range comprising three variants: Select Cask, matured in bourbon, European oak and red wine casks; Reserve Cask, matured in sherry casks, and Vintage Cask: a smoky variant aged in European and American bourbon casks . The distinguishing feature of this non-age statement range was the solera vat marrying and finishing process, which was created by malt master Brian Kinsman to mature the whiskies. The vats were built at the Glenfiddich distillery especially for the Cask Collection. The vats are always kept more than half full to ensure continuity of colour, aroma and flavour, the system taking inspiration from the Solera system used to mature sherry and rum. Cottrell defends the company’s decision to launch the no-age statement Cask Collection range. “When we have created a product without an age statement it is because it has been driven by a desire to create a whisky with unique flavours and profiles supported by a powerful story, unique process or innovation,” he says. “We will continue to innovate, creating exceptional whiskies with as well as without an age statement.